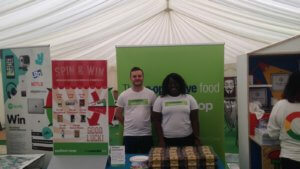 , Portsmouth and Bristol to promote Southern Coop food and their 10% NUS discount for students. This was a perfect way to make the transition to moving into university less daunting and reduces the pressure and stress. 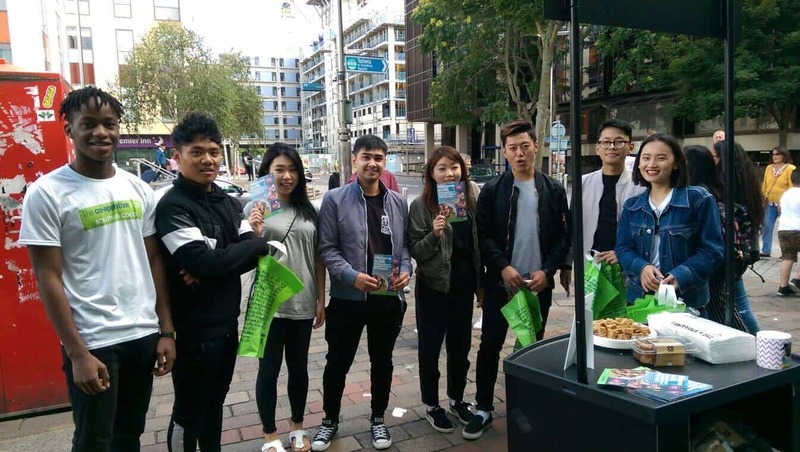 Through field marketing, the campaign took place with the assistance of Brand Ambassadors who set up stalls where they promoted baked goods including mini flapjacks and brownies outside Coop’s in the same vicinity of Halls of Residence. As well as this, leaflets were handed out which provided information on how students could redeem a promotional one-off 20% discount online. At the University of Southampton’s and Portsmouth University’ Fresher’s Fayre, students were given the opportunity to take part of promotional activities such as Spin the Wheel of fortune which gave them a chance to win essential and basic groceries including bread, baked beans and milk! The main role of the Brand Ambassadors is to approach the students in a warm and welcoming way to increase Coop’s exposure and capture data for future promotional work. This allows Southern Coop to target the same audience for future offers and deals to make sure they never miss out! 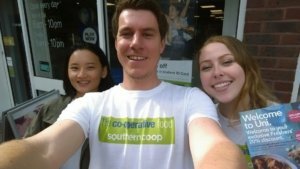 What’s more during the campaign, the Brand Ambassadors were introducing Freshers to the new look and branding of The Southern Co-op, who recently adapted fresh new look. If you would like to drive more footfall to your store, then please don’t hesitate to contact us on 02380 634 283 or by emailing: hello@gottabemarketing.co.uk and one of our Client Service Managers will be more then happy to assist you.